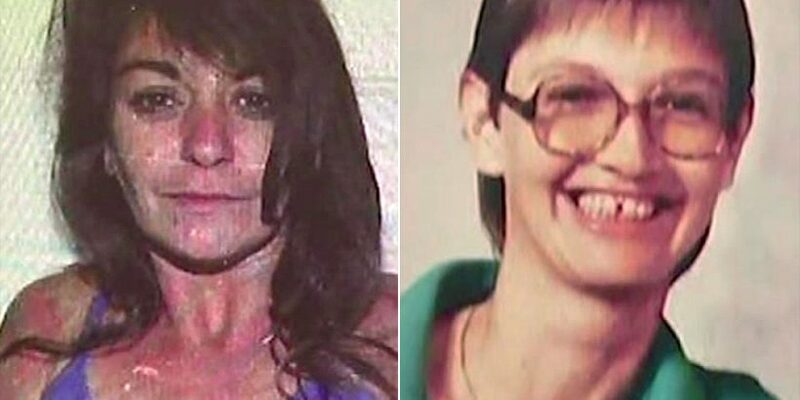 For decades, two women whose dead bodies were discovered in the so-called Texas Killing Fields — a swampy area outside Houston where the bodies of dozens of women have been found since the 1970s — remained unidentified. On Monday, with the help of DNA technology, League City officials announced the women’s identities and asked the public to help the investigation into who killed them. Until now, Audrey Cook had been known as Jane Doe. On Feb. 2, 1986, some children were riding their bikes near the 25-acre area and discovered her body. She was naked and had been shot in the back. Officials said she had died anywhere between six weeks and six months prior to the discovery of her remains. Five years later, on Sept. 8, 1991, a horseback rider discovered the bones of Donna Prudhomme, who was known as Janet Doe. Officials believed she had been beaten to death and died about four months prior to the discovery of her body. In April of last year, detectives began working with the genetic testing company FamilyTreeDNA. By comparing the victims’ profiles against the group’s database, detectives were able to create family trees, which led them to living members for both women. Since positively identifying the women and interviewing relatives, they were able to learn more about Cook and Prudhomme. Police believe Cook was 30 years old at the time of her death. She had lived in the Houston-area since 1976, where she held many jobs as a mechanic. Investigators do not know what Prudhomme did for a living, but believe she often visited bars in Seabrook, Texas. Police believe she was 34 years old when she died. For now, investigators have not determined if the women were killed by the same person. “Right now, the only concrete similarity [between the cases] is the location where they were discovered,” the official said. “We’re keeping an open mind. We’re going to let the case, let the evidence, let the leads take us to where that goes. Anyone with information is urged to call the League City’s Police Department’s Cold Case Hotline at 281-338-8220.